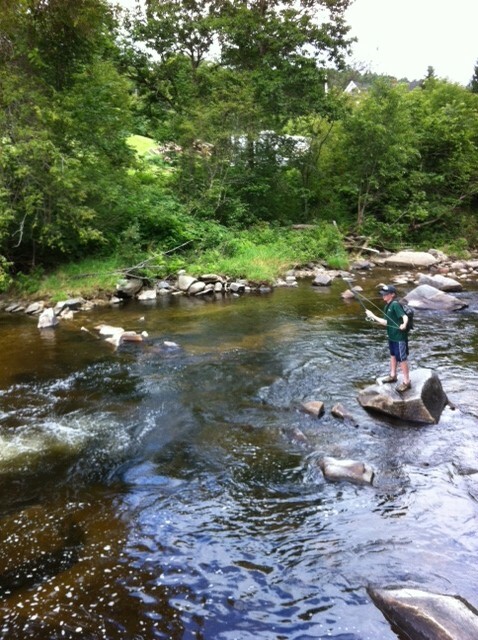 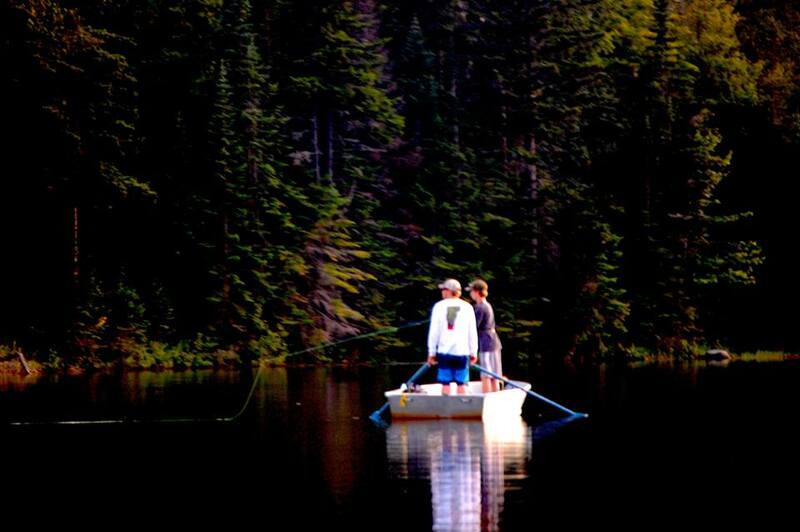 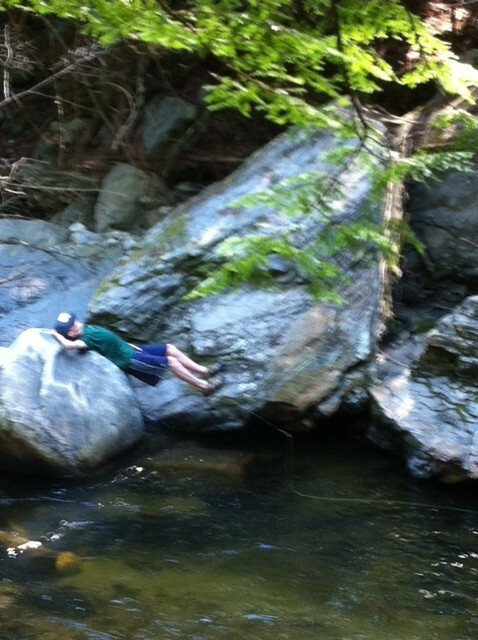 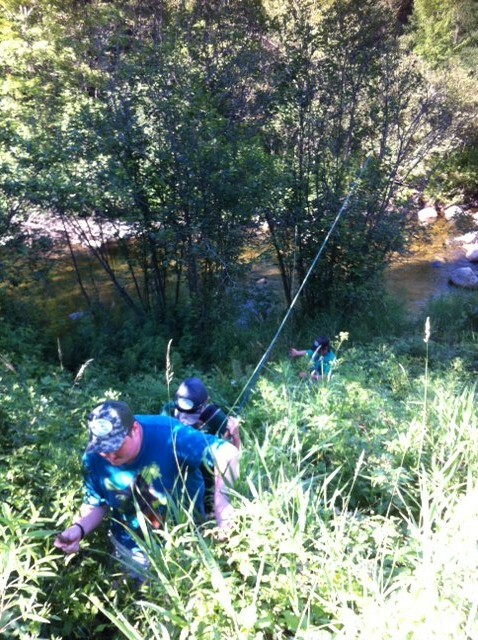 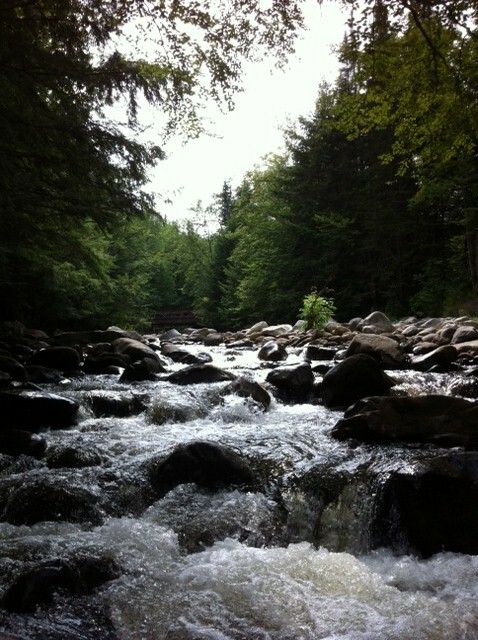 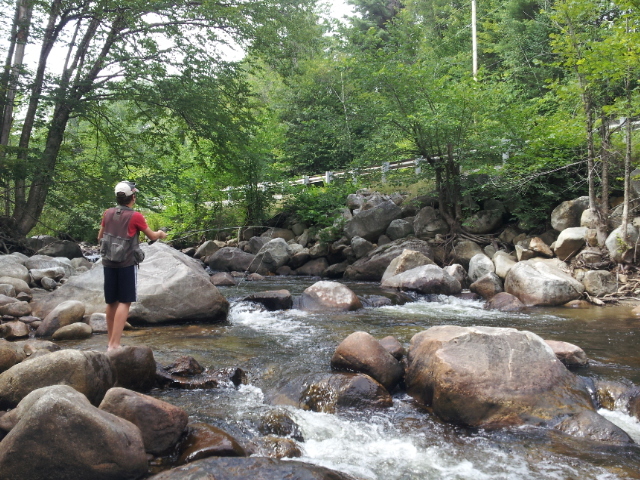 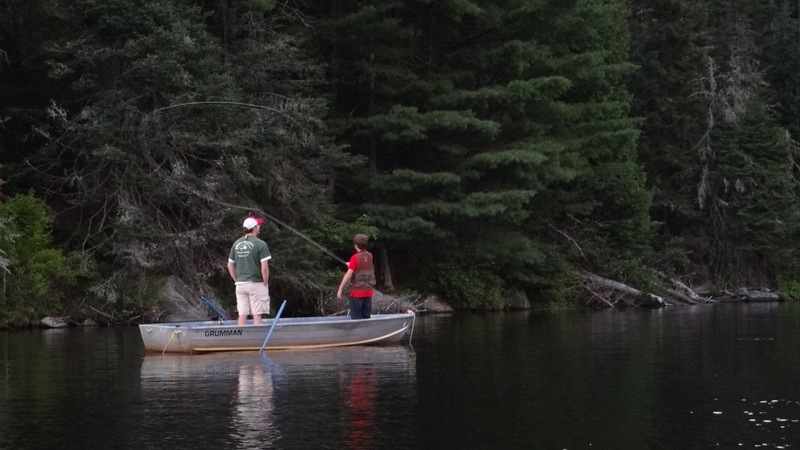 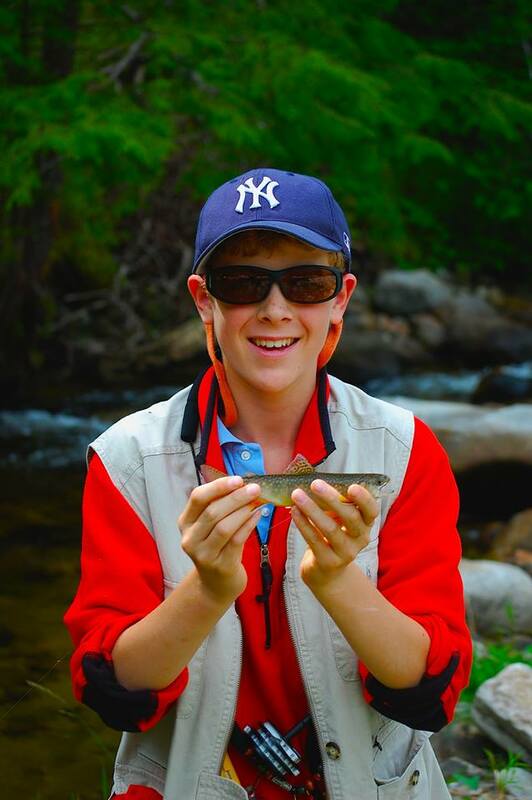 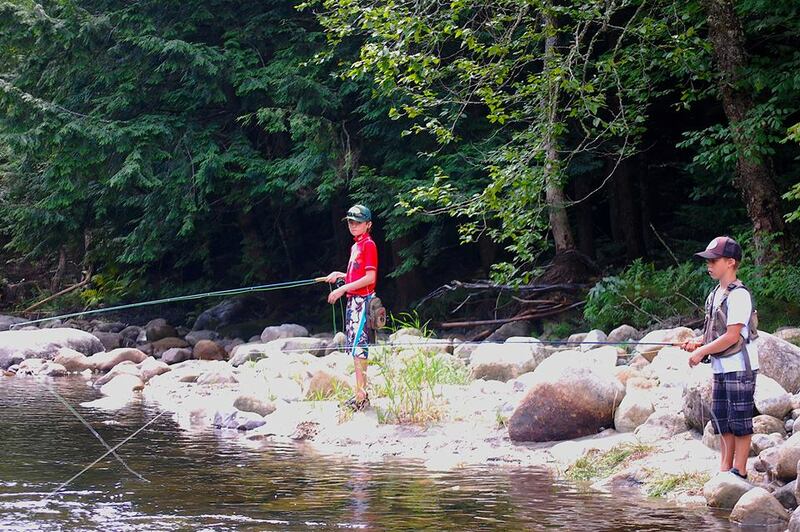 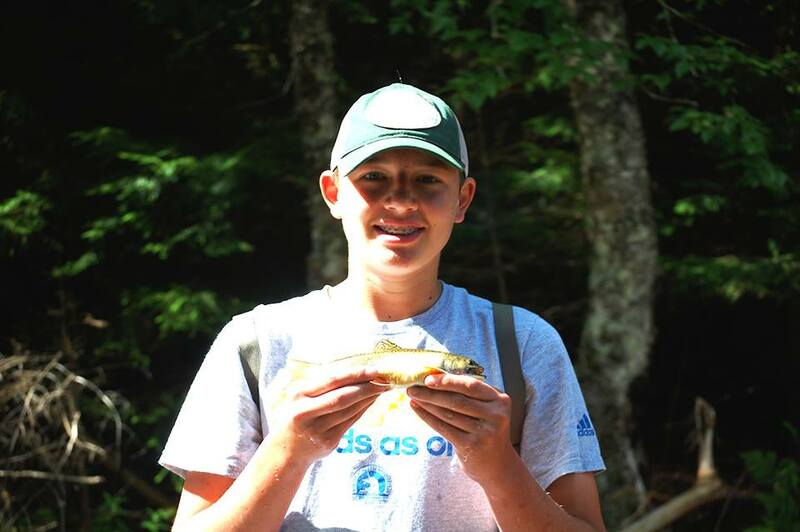 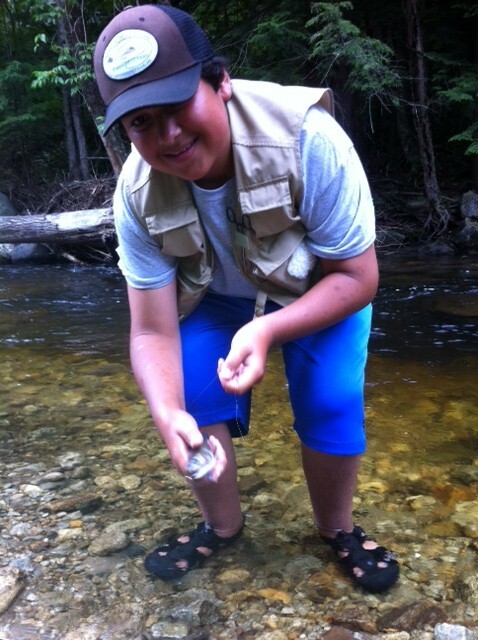 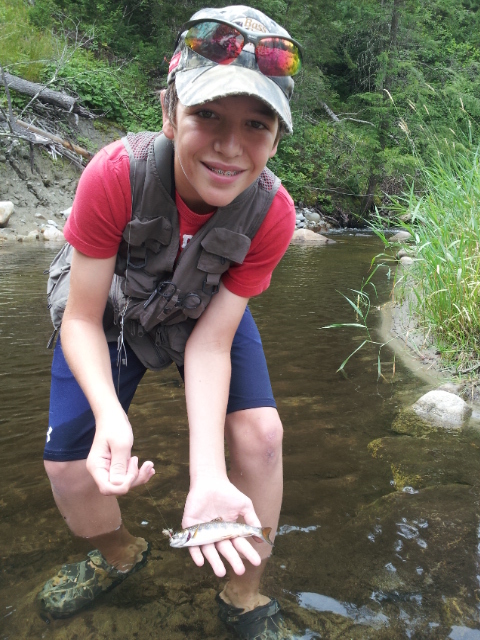 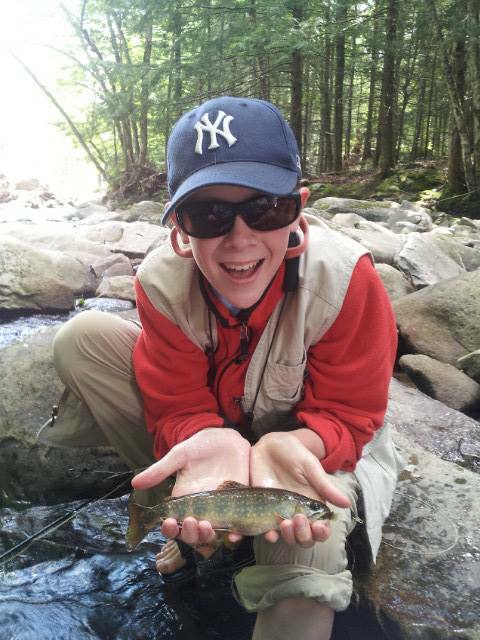 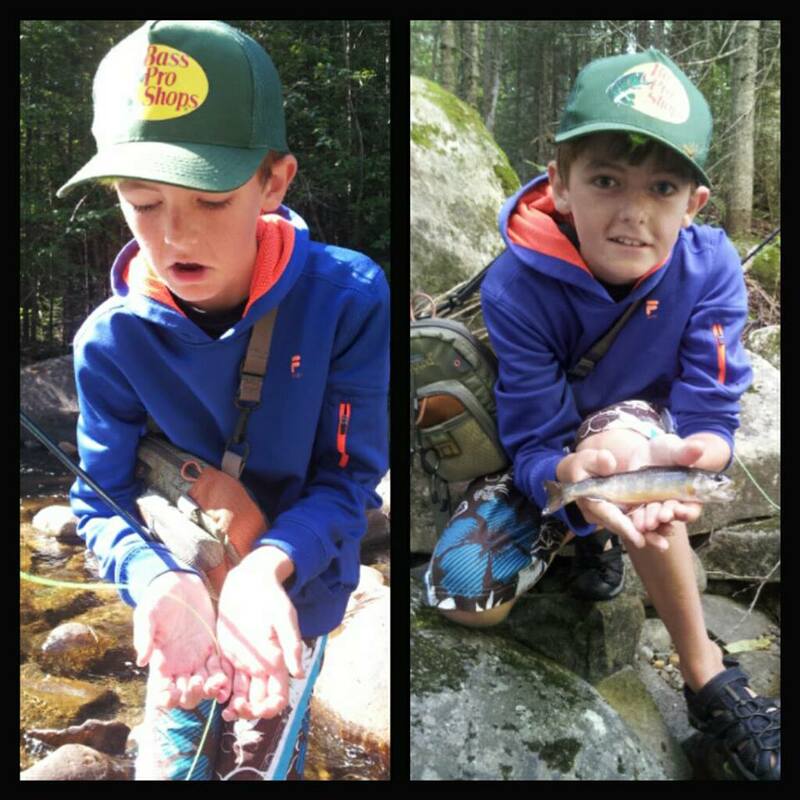 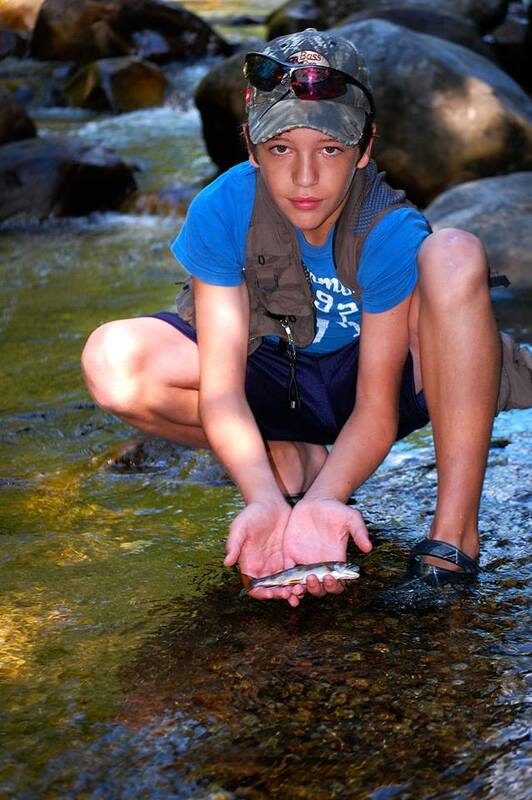 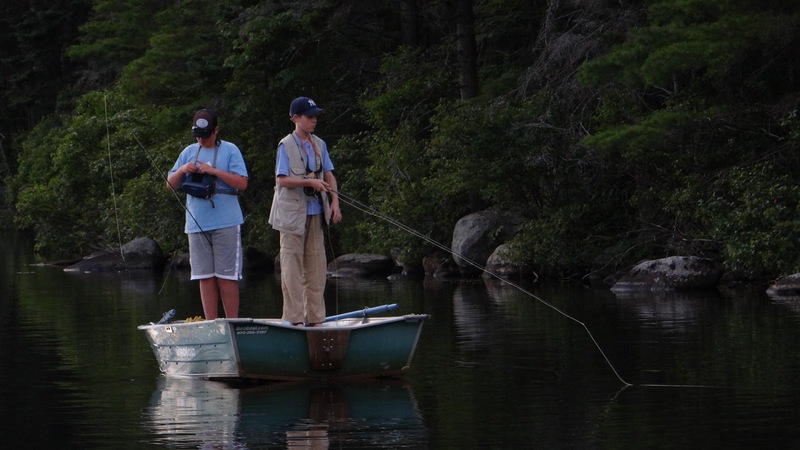 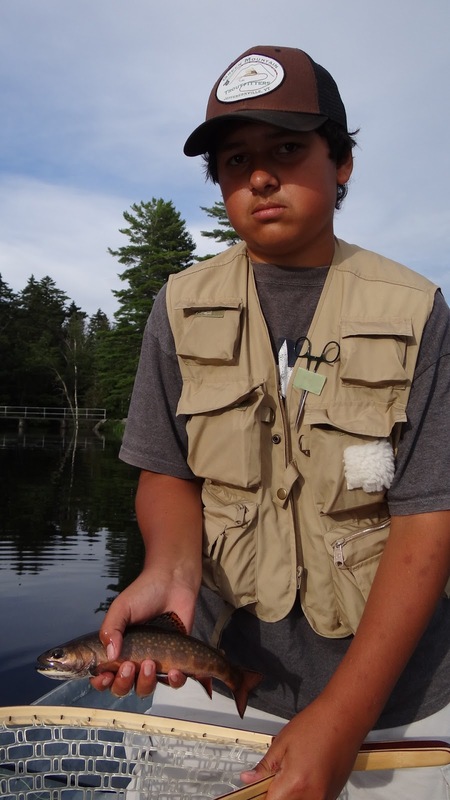 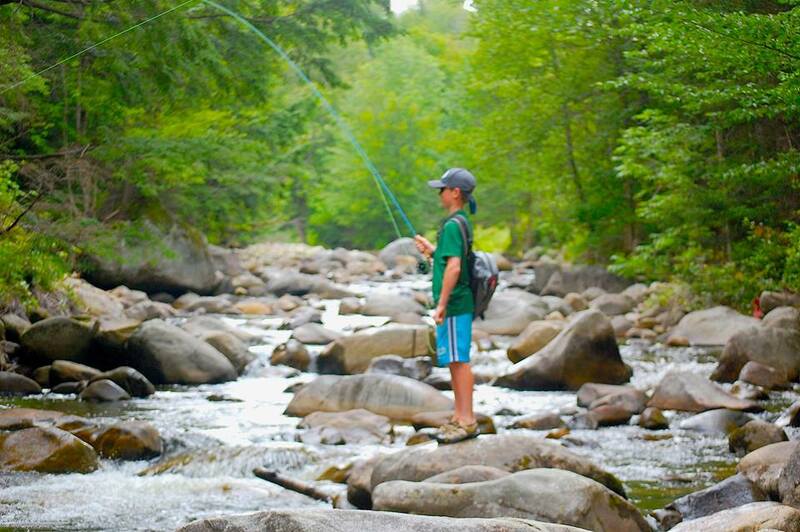 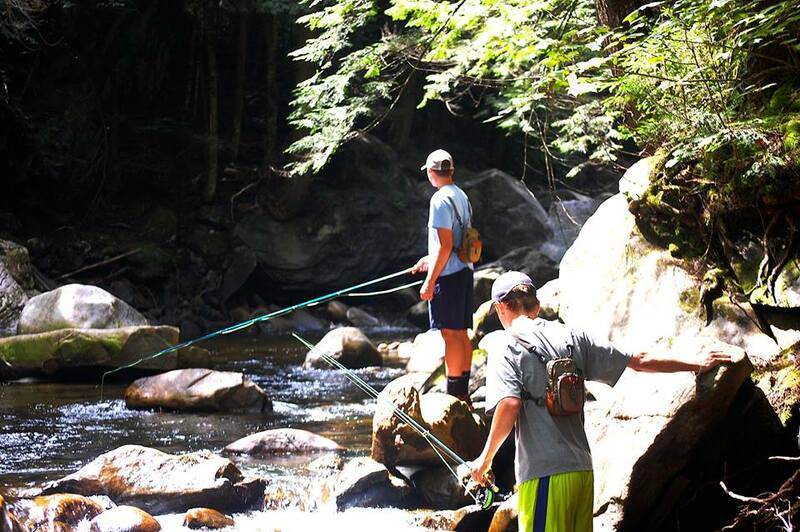 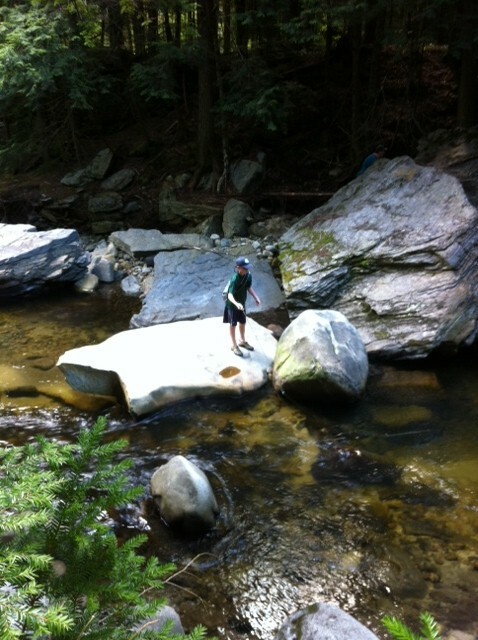 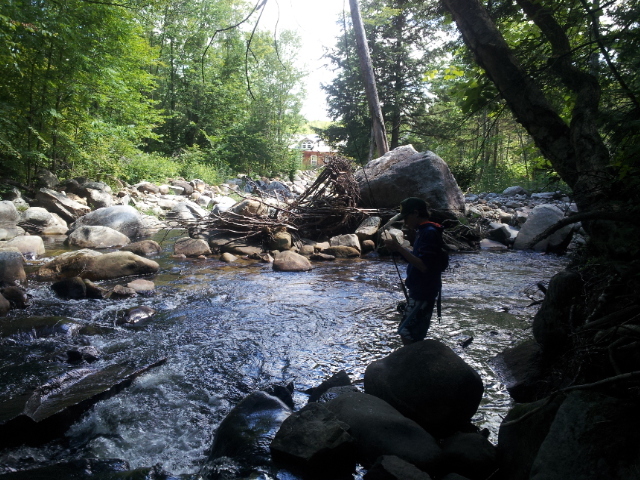 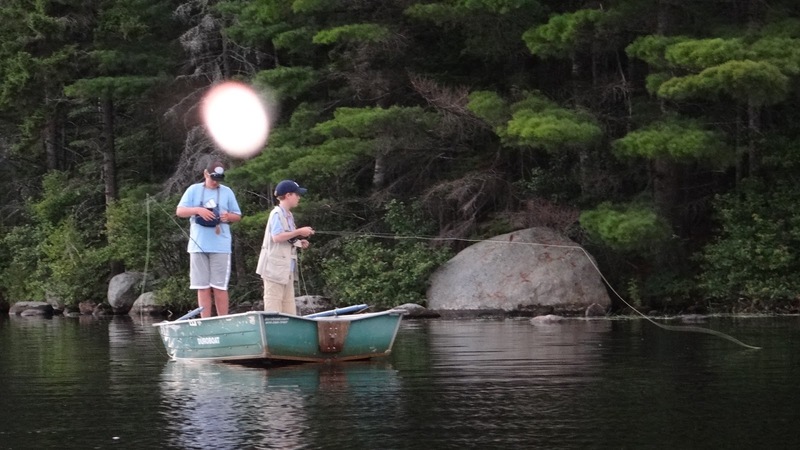 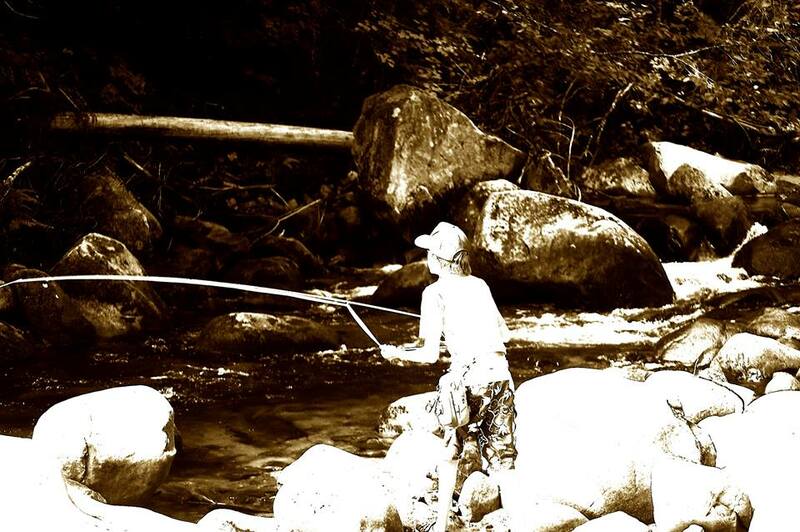 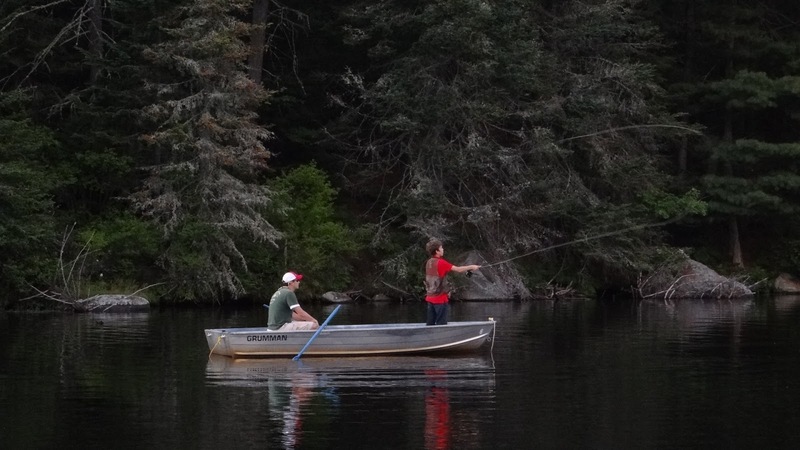 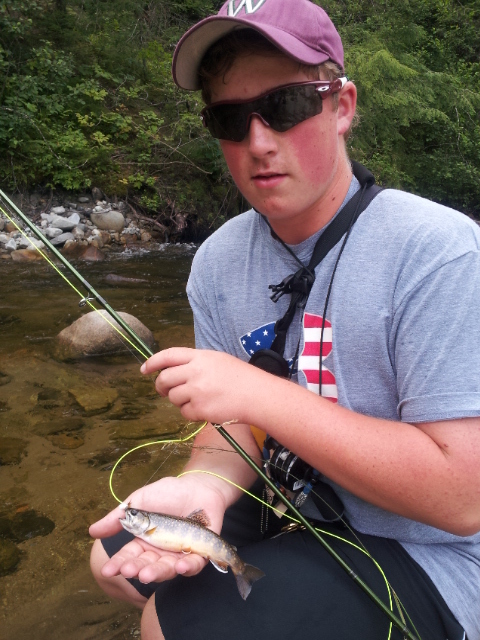 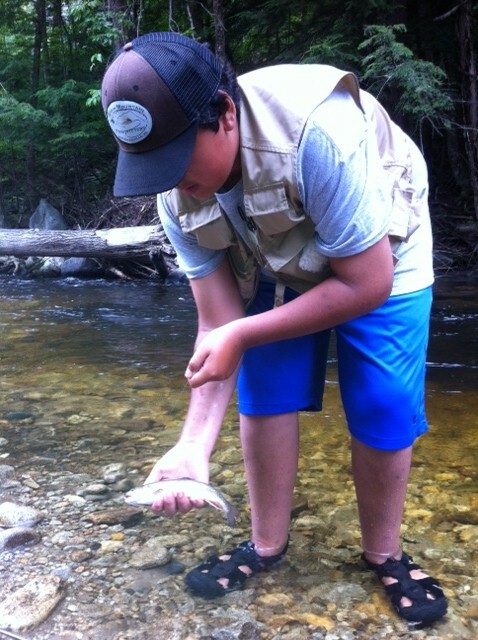 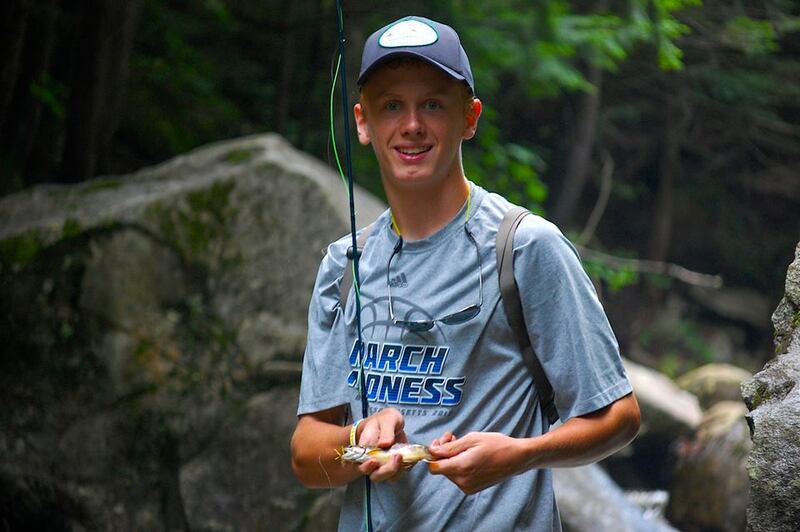 We had yet another great session of Green Mountain Fly Fishing Camp this week with 12 young anglers between 12 and 15! 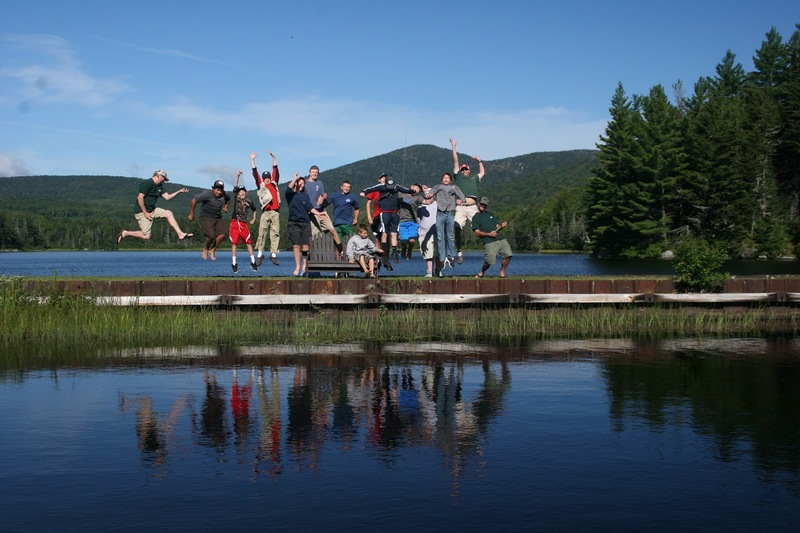 This week, we had kids from MA, CT, TX, NH, VT, NY and London! 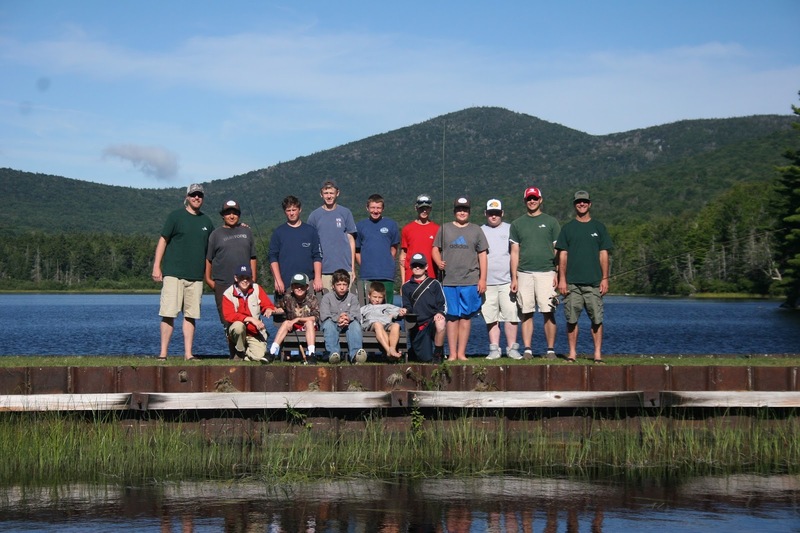 8 of the 12 kids arrived at camp with little to no fly fishing experience and 12 of the 12 left with plenty of fish stories to tell. 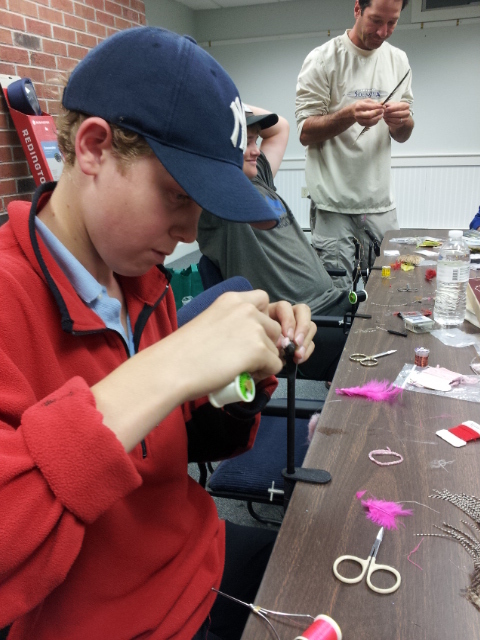 It was absolutely amazing to see how fast these kids progressed with casting, knots, fly tying and catching fish! 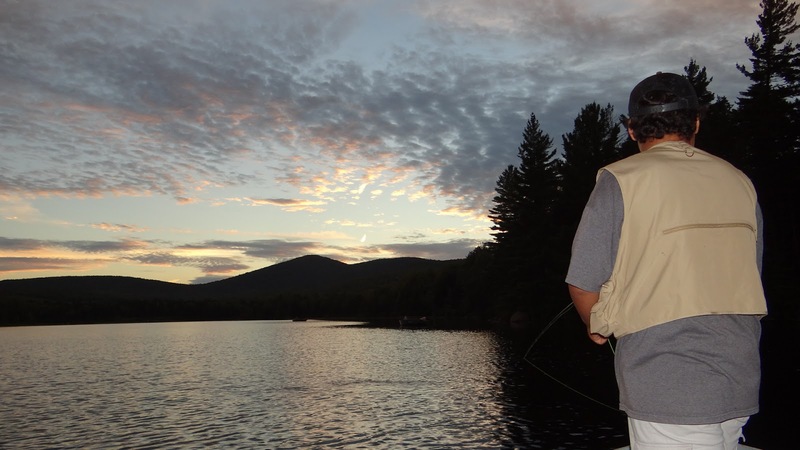 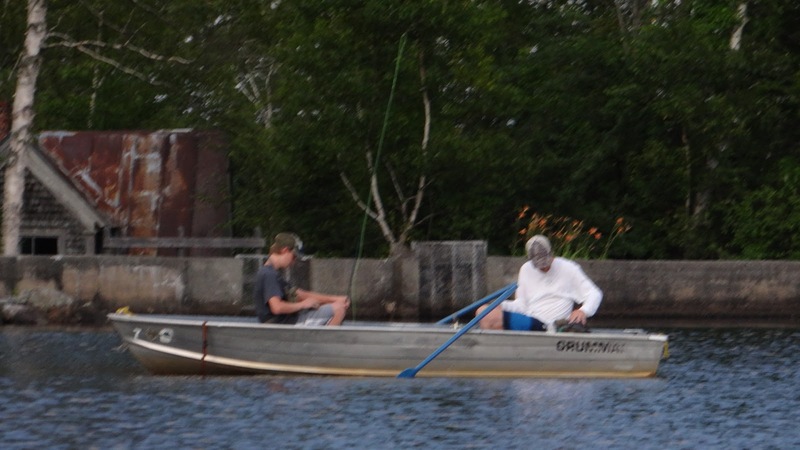 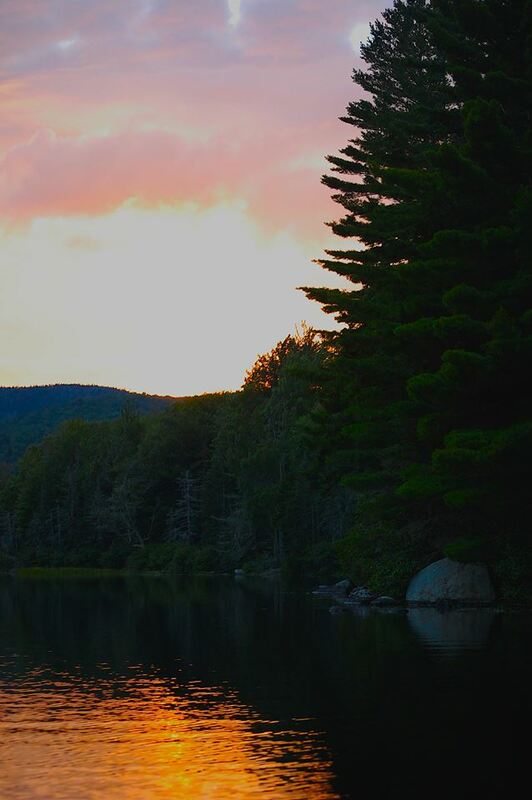 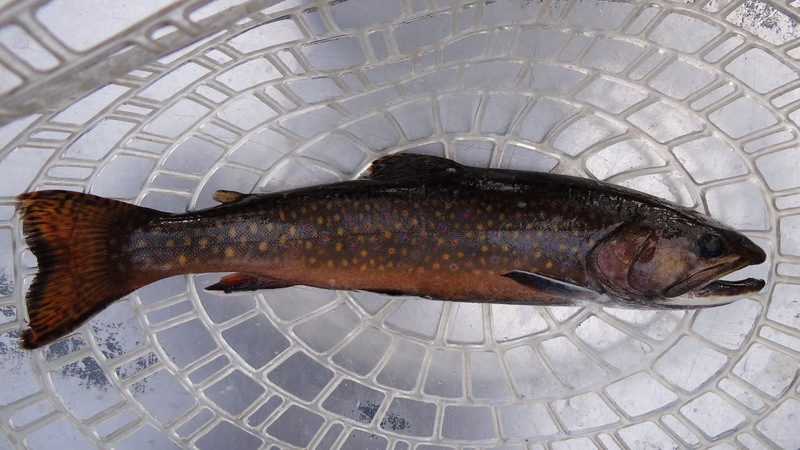 As was the case with our last session, the fishing on Lake Groton and Noyes Pond wasn’t fast and furious by any means, but we made up for it catching large numbers of brook trout on the tribs. 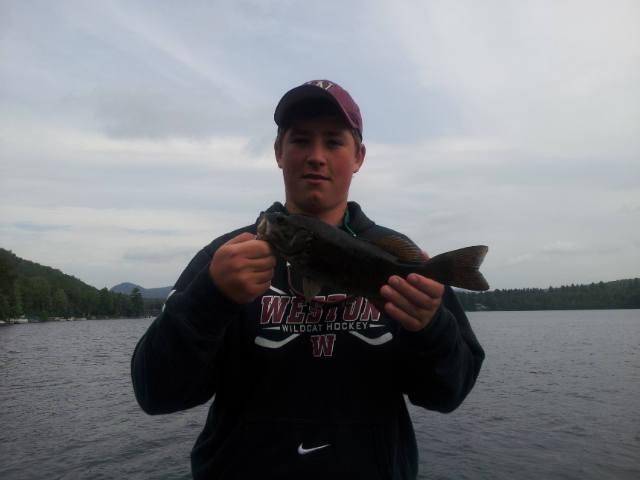 We did find some big smallies in the spillway between Lake Groton and Ricker Pond the one day. 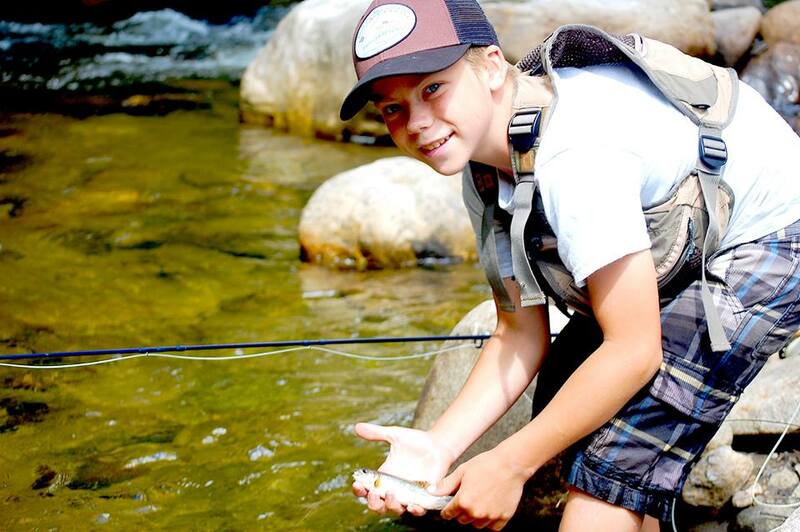 The kids were able to hook up with some real bruisers and, although none made it to hand, it was great seeing these fish rocket out of the water when hooked! 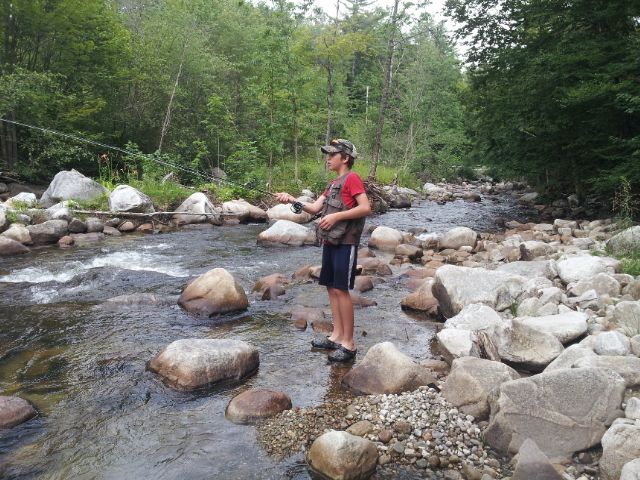 We had the most fun exploring different beats of the local tributaries which seemed to have several fish in each spot we casted. 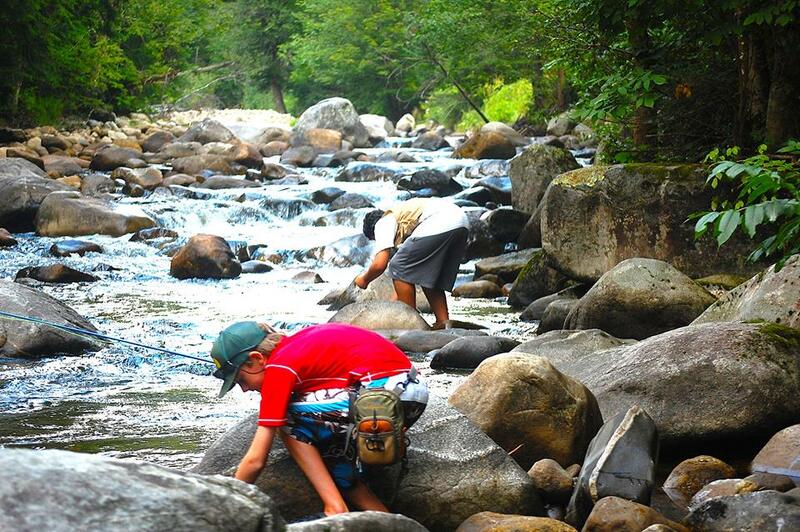 The kids were so pumped to fish that some would show up to meals with their vest or pack already on, ready to go! 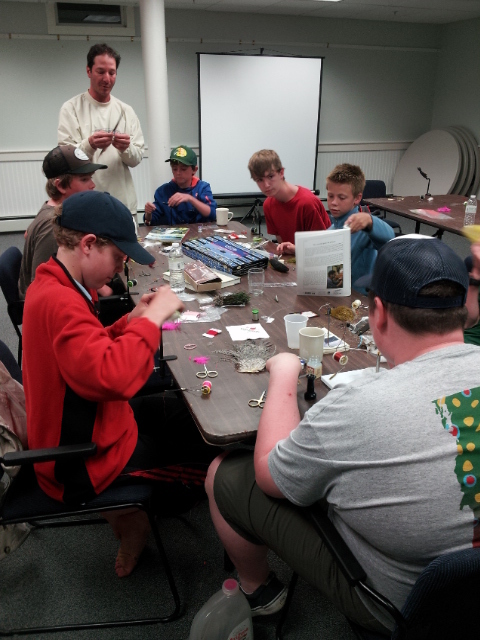 I think overall, the kids loved the experience. 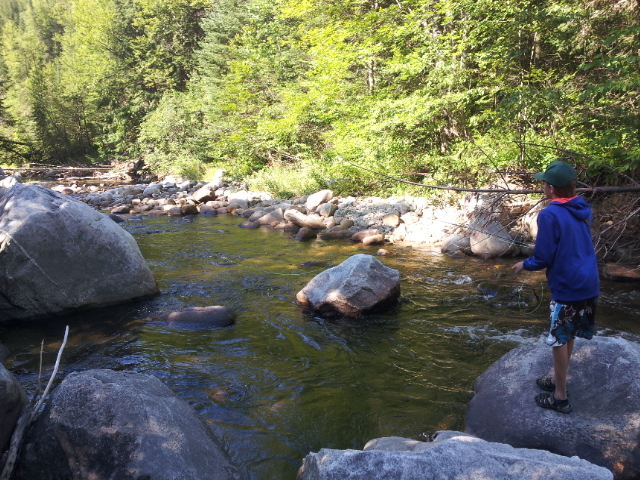 As we were driving home from the lodge, several campers had even convinced their parents to pull over so they could make a few casts into the creek. 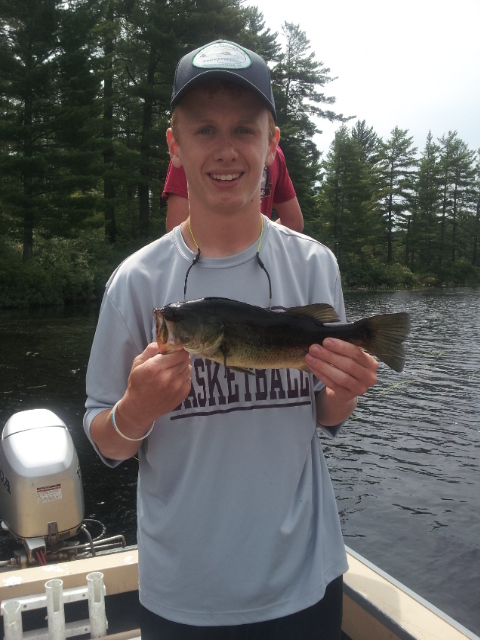 Man did that put a smile on my face! 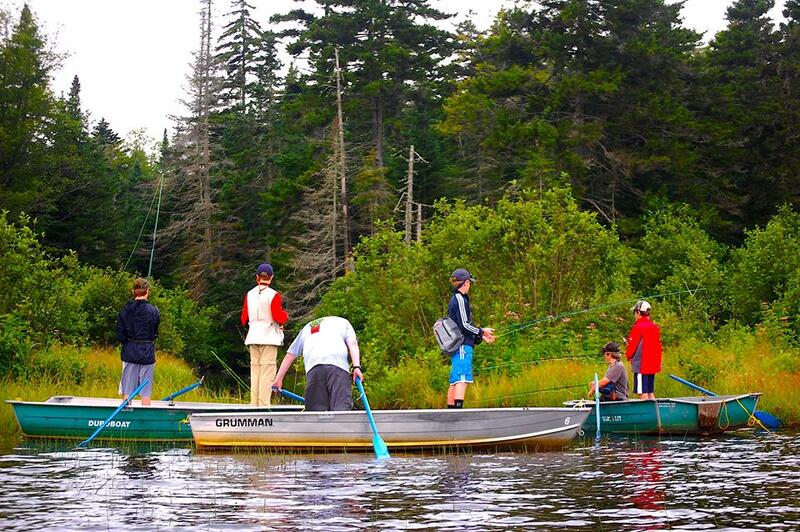 Giving these young anglers the tools, knowledge and confidence to go out into a natural setting and make a connection is our top priority. 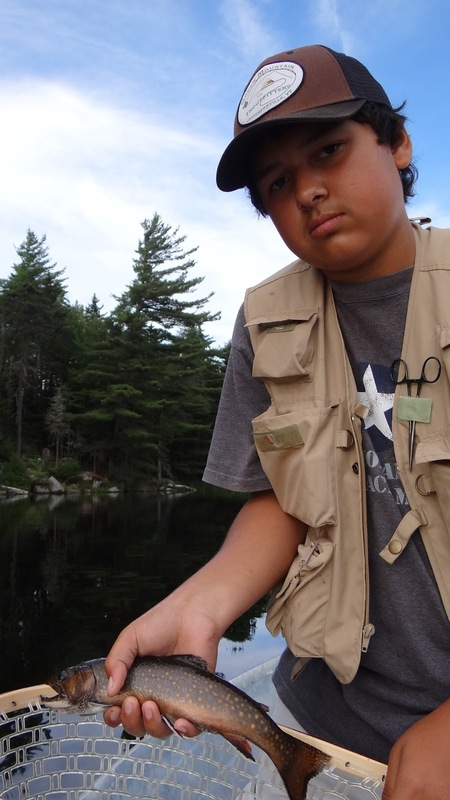 Whether it was catching a mess of brookies, tying that fly on perfectly, watching a loon chase fish around under water or making the perfectly presented cast, these kids all had experiences this week that will always be with them. 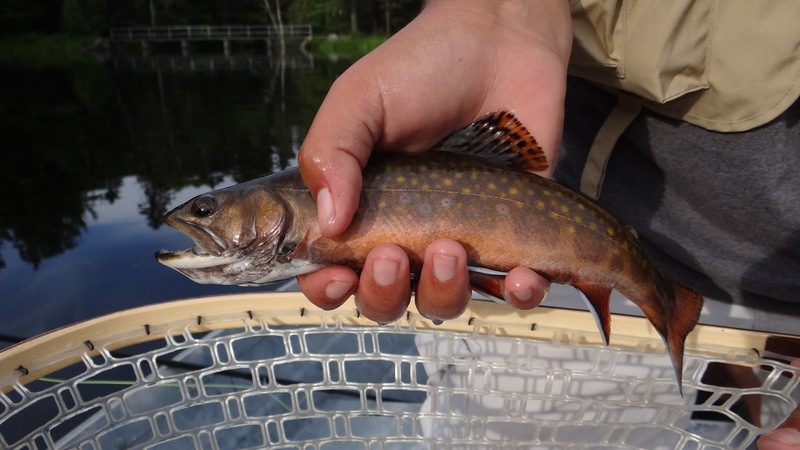 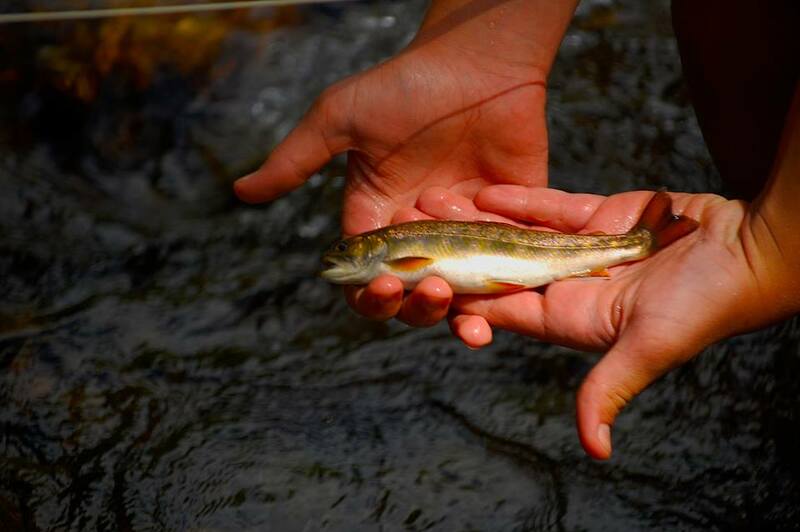 For me, I’ll never forget when one of the kids had just released a beautiful brookie in an incredible setting and turned to me and said, “This is most amazing experience I’ve ever had.” That’s why we do this! 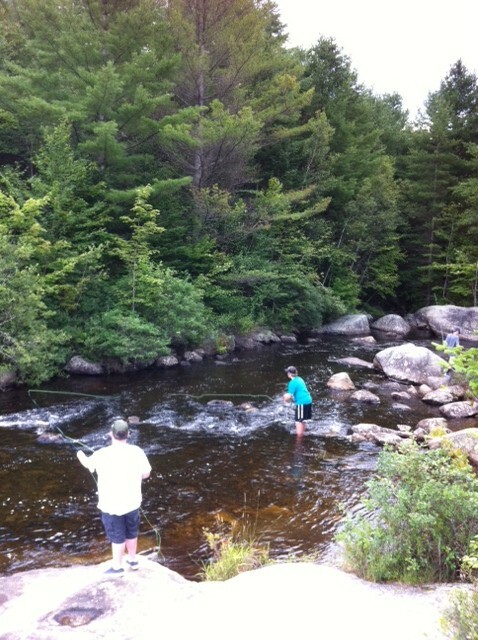 Once again, thanks to Tiffany, Chris and the amazing staff at Seyon for their hospitality! 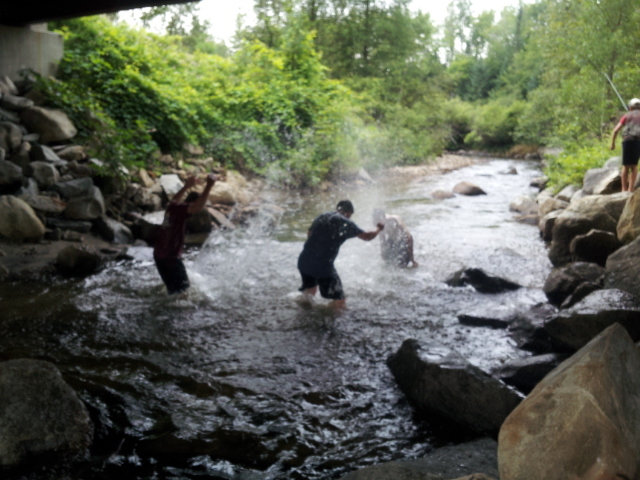 I know we tend to come through their like a freight train, but you all handle the madness perfectly! 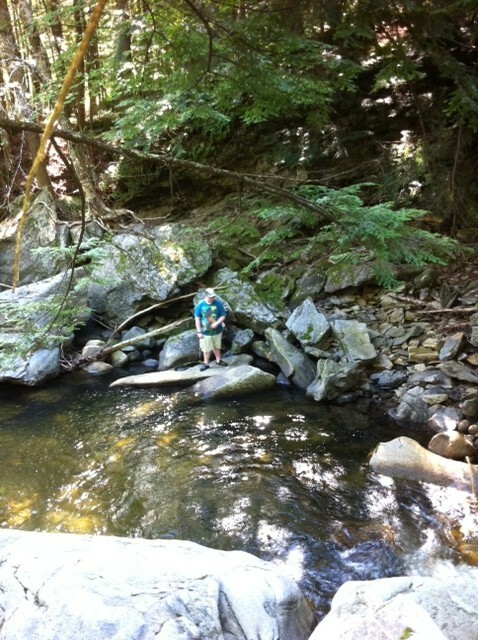 Also, thanks Tiffany for taking yet another group photo for us! 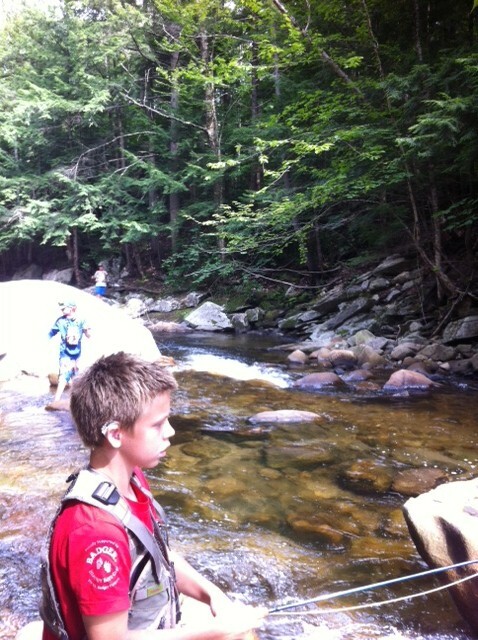 Thanks to Mike, Arthur, Dan and Steve for being true professionals and for showing these kids the time of their lives! 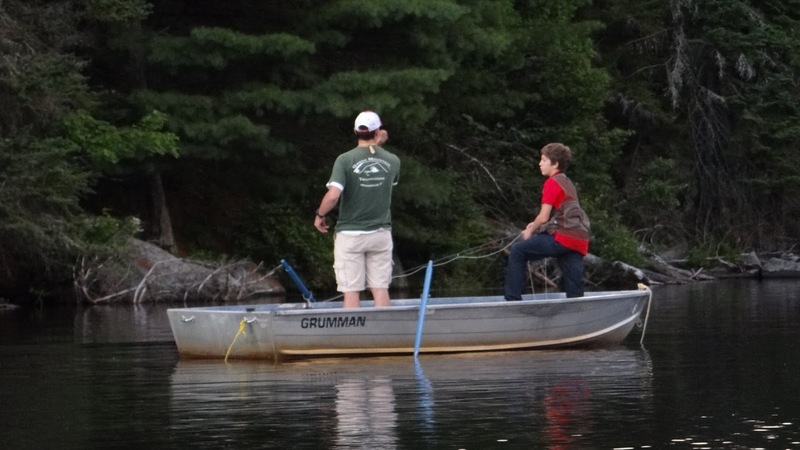 You guys set an example that the industry should follow and it’s a real treat for these kids to fish side by side with the best in the business! 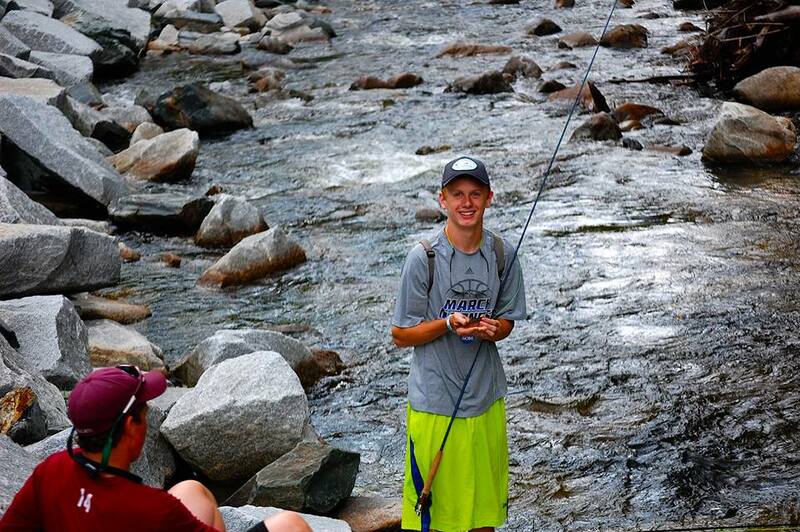 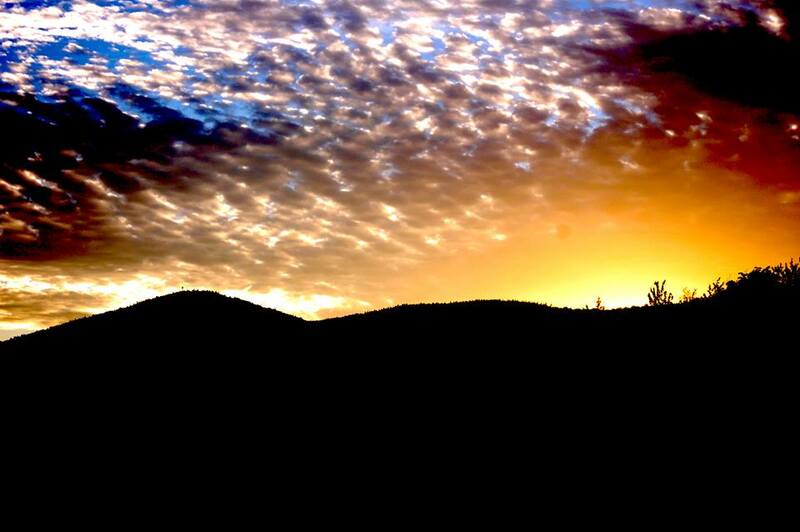 Most importantly, thanks to the 12 campers that made this past week possible. 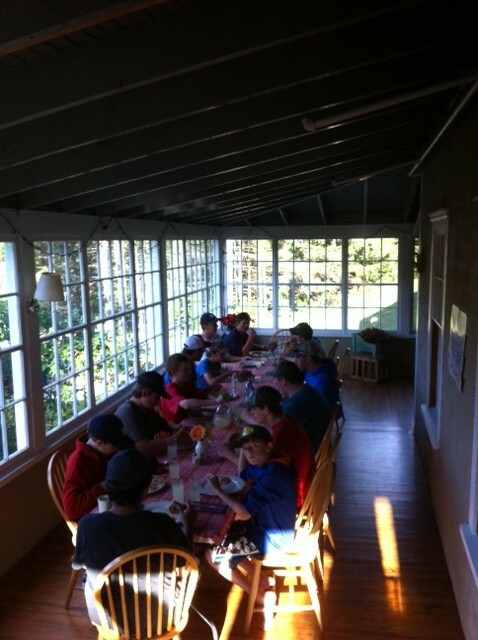 Max, Luke, Mateo, Cole, Edward, Shamus, Dakota, Jason, Jordan A., Charlie, Tim and Jordan E.! 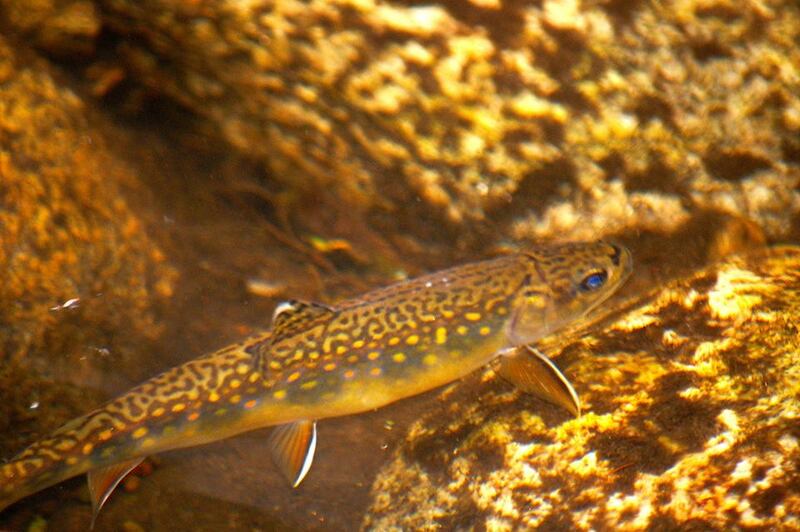 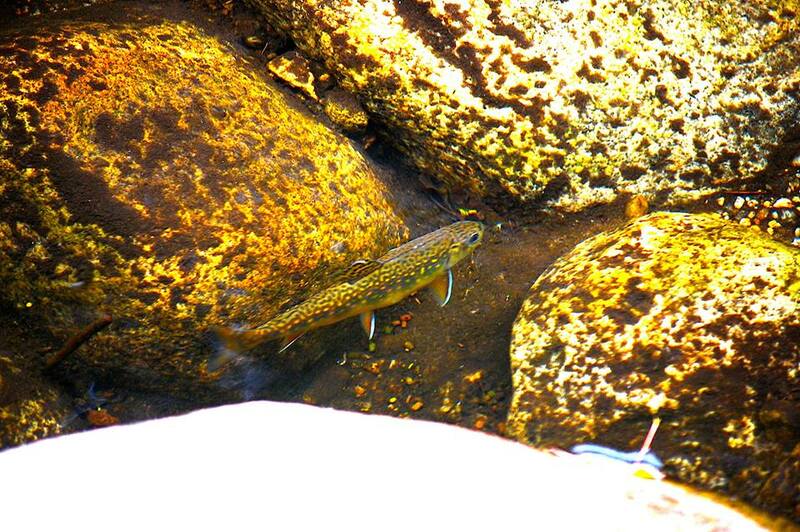 It was a pleasure having you all this week but I’m sure the brook trout are glad you’re gone!